My appreciation for the historic district of Farmington is well documented over in the Amistad Trail section where I checked out a bunch of these places. Right in the middle of them all is this beautiful church which was declared a National Historic Landmark in 1975. 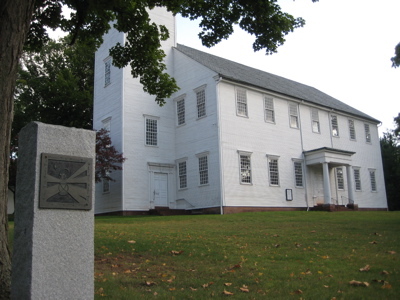 First Church of Christ, Congregational is a historic Greek revival church that served the Amistad Africans before their return to Africa. 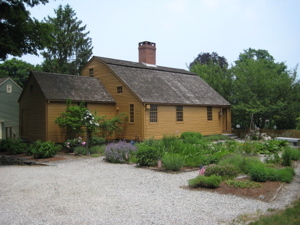 The church, originally known as the Meeting House, was built in 1771, designed by Judah Woodruff. The slender steeple on top of the bell tower can be seen for miles. Just not in my terrible picture above. The church is cited as an “excellent example of its architectural style and period”. When the Africans who had participated in the slave revolt on La Amistad were released in 1841, they came to Farmington and stayed with Austin Williams before their return to Africa and attended this church. The Amistad case was important for the abolitionist cause and significant in the history of slavery in the United States. Here’s a bunch more on their history from their surprisingly good website.